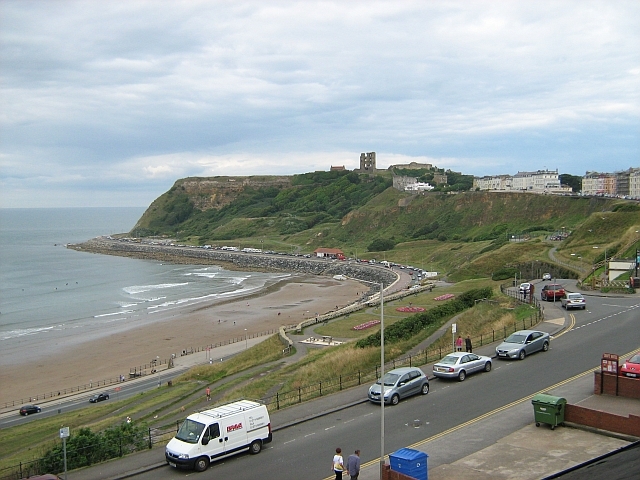 The view from the hotel, with Scarborough Castle in the distance. It was a long hard climb up those stairs to get this view. 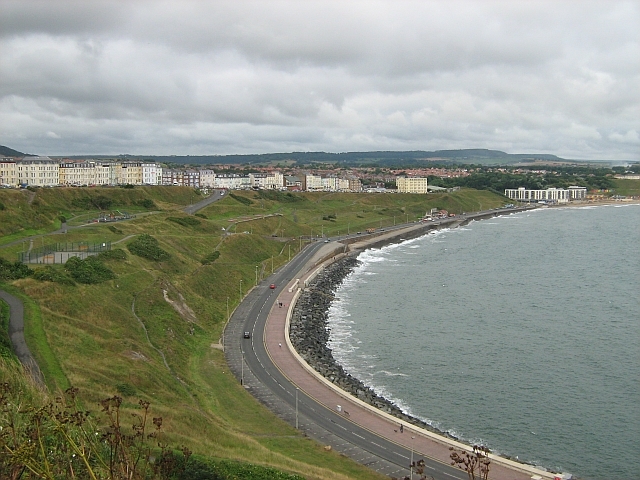 The line of hotels on Queens Parade, Scarborough. 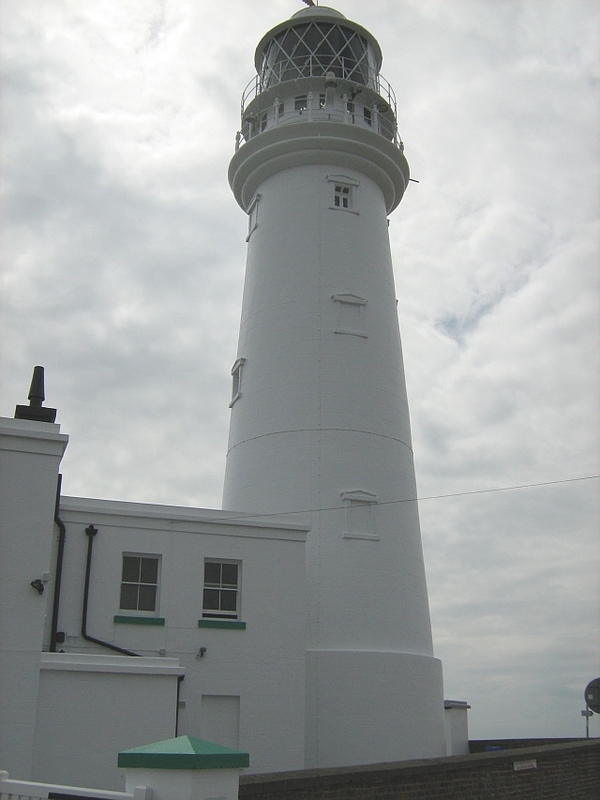 Flamborough Head Lighthouse. It looks grey here...it is actually white. 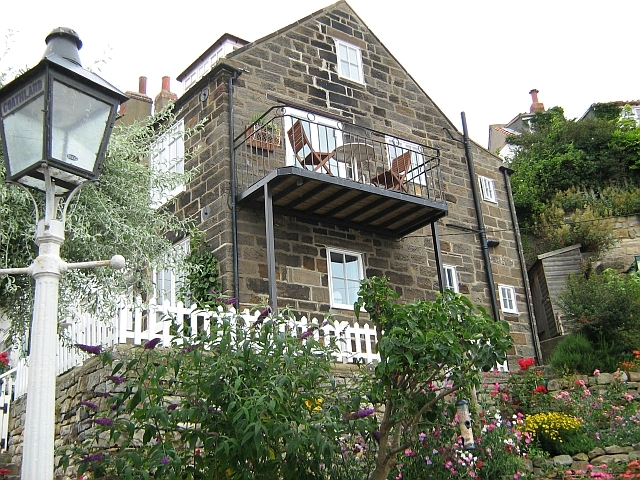 One of many georgeous cottages in Runswick Bay. 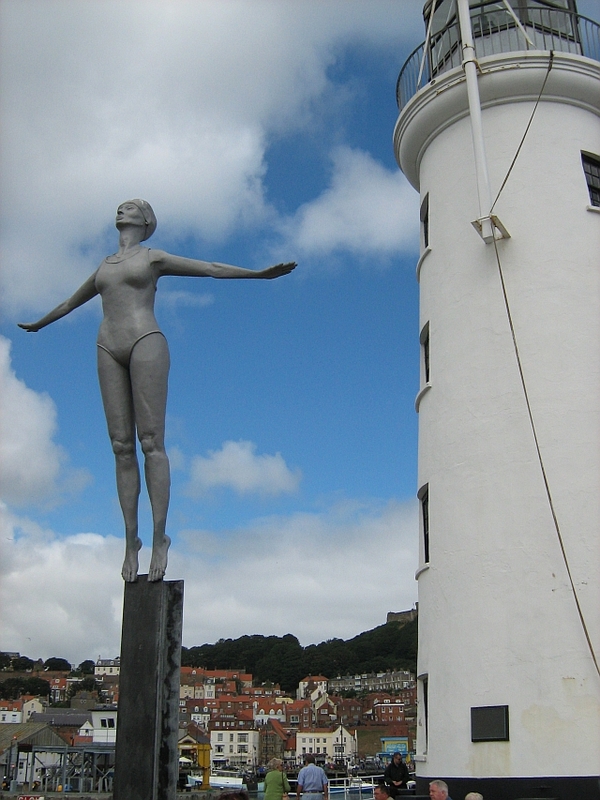 Notice "Goathland" written on the lamp. 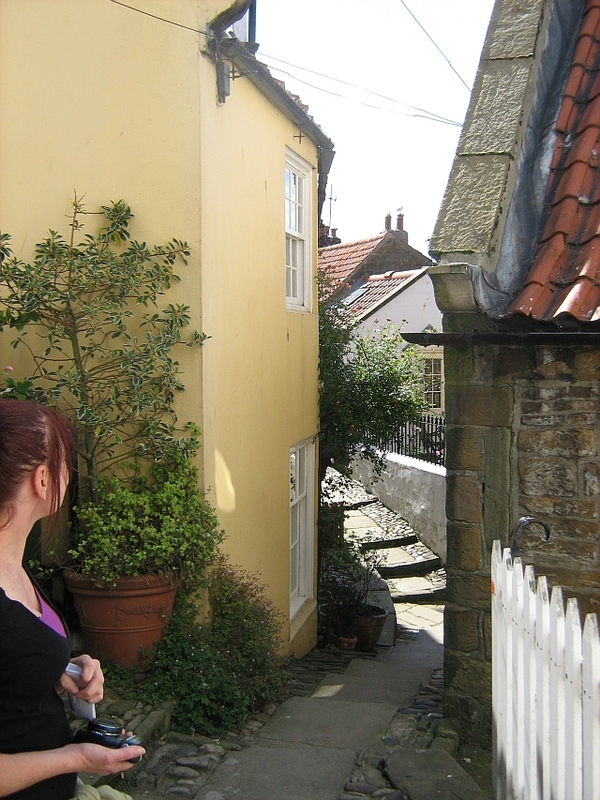 I can only assume the lamp was "borrowed" from Goathland which is not too far away. 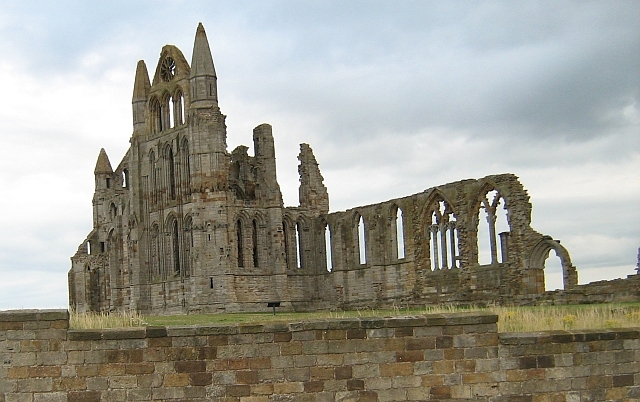 The Ruins of Whitby Abbey...well what we could get to at such a late hour. 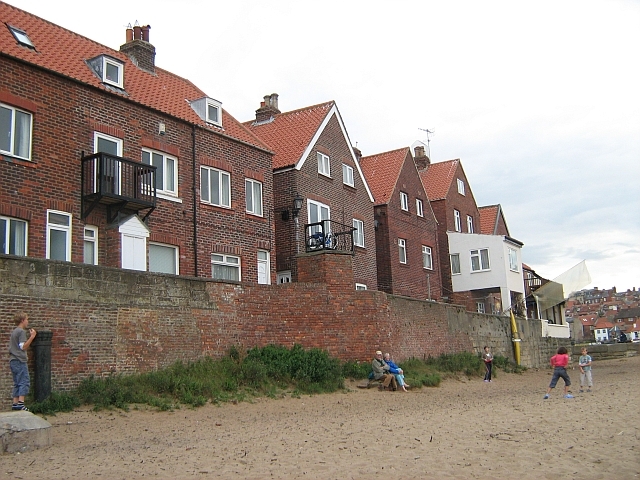 These properties are on the harbour wall at Whitby. I know it looks like a beach but it's not really. 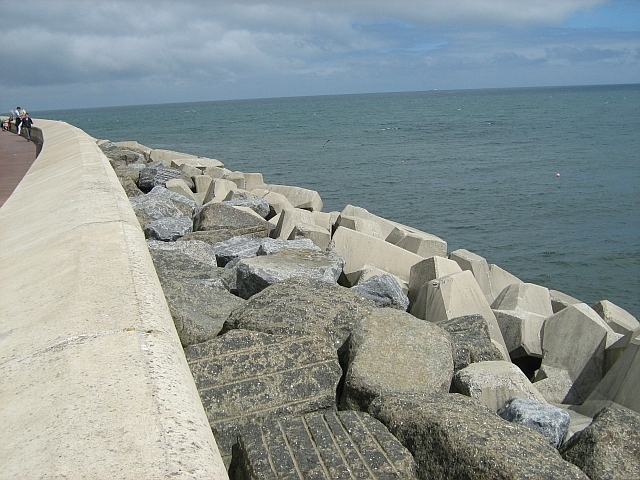 Hi, I'd like to use your image of Scarborough sea defences for a beadwork project I'm involved with. Would you mind?